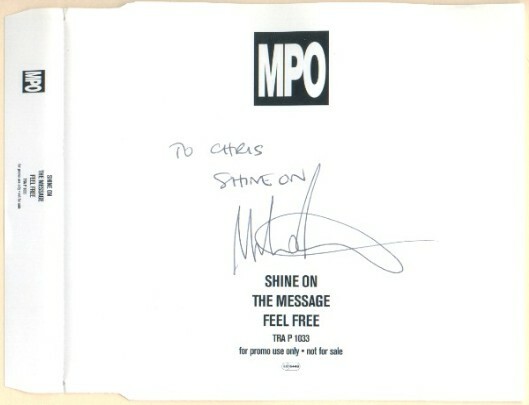 This is a Mike Peters Shine On Promotional CD Jacket. I have no idea how I got it. I think I entered a contest or something but it is signed to me which I think is pretty neat.